In April 2018, SpecFicNZ launched its newest anthology titled, Te Kōrero Ahi Kā, which means to speak of the home fires burning, and is a statement about how we as creators of speculative fiction and art make our mark, shining our light on the literary landscape. This anthology showcases the best work from members of the SpecFicNZ organisation of writers, poets, artists, and creatives. The anthology had no set theme and short story, poetry, cover art by uor members was included in the ebook and print editions. Speculative fiction includes all genres of fantasy, horror, and science-fiction. 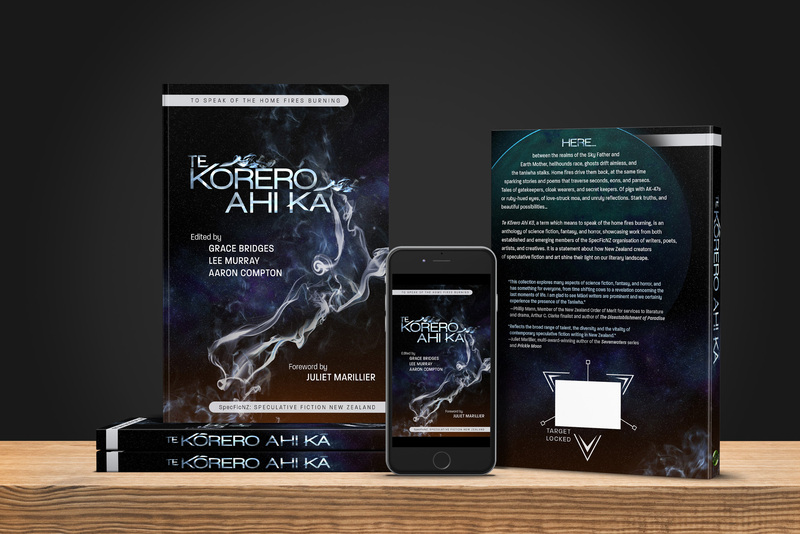 Te Kōrero Ahi Kā, was edited by award winning author and editors, Lee Murray, and Grace Bridges, with the assistance of guest mentee editor Aaron Compton. The project convenor was Treasurer Paul Mannering. The print book is available from Ingram, Book Depository, Wheelers and other reputable distributors, or by contacting specficnz@gmail.com (stock copies are limited).